This is the story of a year in the life of village primary school and its local church. It introduces three children who go to the church on Sundays, providing a glimpse through their eyes of what happens on those occasions. 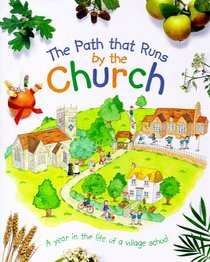 About "The Path That Runs By the Church"
Maggie Bateson is the author of "My Fairy Garden "and "My Fairy Winter Wonderland." Louise Comfort is the illustrator of several children's books.